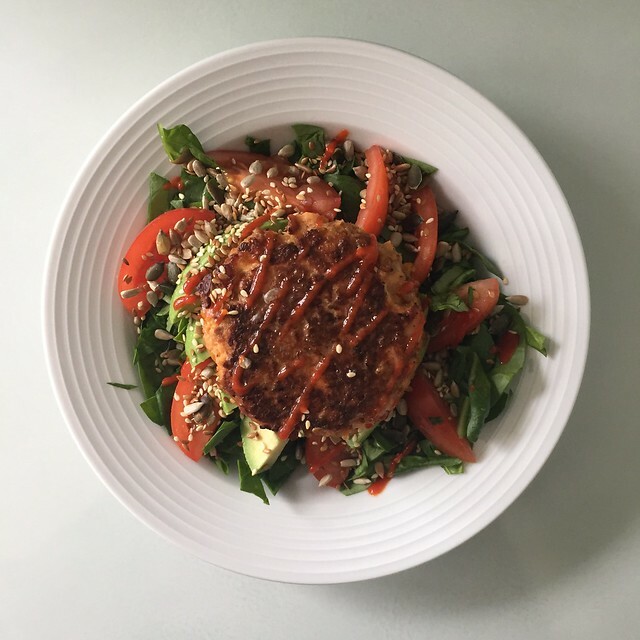 Many people are surprised by just how much food I get through on an average week day, so I thought I'd do a day in my food diary, for anyone interested in what my version of a healthy-for-me-and-my-needs diet looks like. 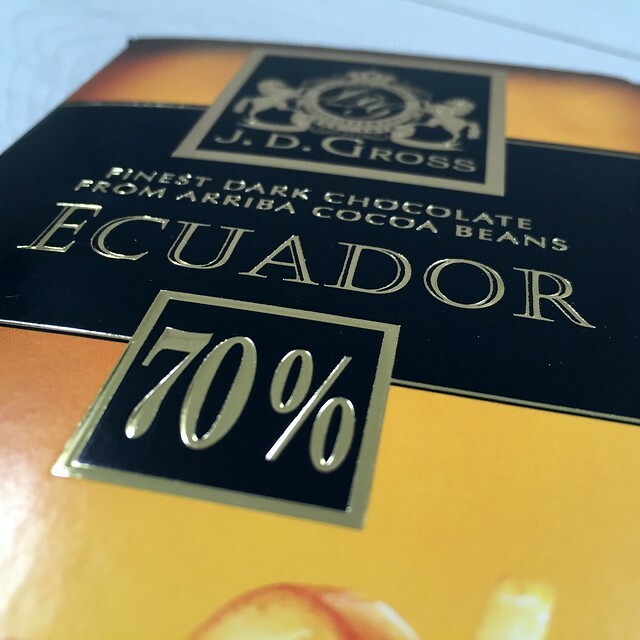 This isn't a how to, I'm not advocating my choices for anyone else, this is just a day-in-the-life food diary. I train (running, cycling, strength training, Barre Concept class) on average 5-6 times per week- I would normally have at least one day over the weekend where I don't do any scheduled exercise. Breakfast: I do most of my training in the evenings, so I kick the day off with something protein heavy. 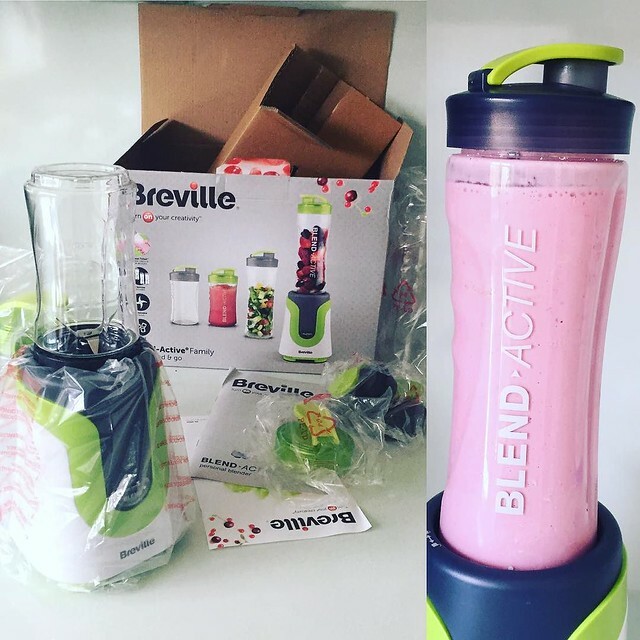 I recent bought myself this Breville BlendActive cup blender to make things more interesting- review to come soon! Morning: I don't tend to snack through the morning, breakfast usually leaves me fairly full but it's normal for me to get through a 1.5L bottle of water whilst at my desk. Lunch: I'm a creature of habit, and often my lunch is a variant of the same ingredients. I favour a lighter carb content unless I have really heavy training (hello hill sprints) or races coming up. Pre-Training: After work and before dinner, I try and shove something in my face which is moderately carb-y before I go out to run, cycle, a class or anything else. 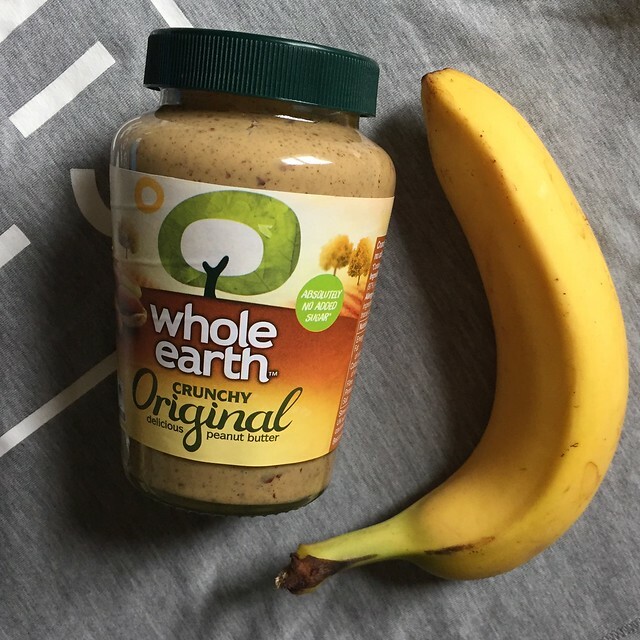 A banana or an apple, if my training is likely to be tough, I might have peanut butter with either fruit option. I usually add a hydration supplement to my water bottle for training because between sweat and the volume of water I drink I lose a lot of salt and electrolytes. Dinner: I normally eat dinner straight after training (usually 2030-2130) and it tends to be carb heavy for replenishment compared to the rest of my day- I carb load for races and big training events, but I've found for me, keeping my carbs for post-workout sits best with my system and keeping my energy levels about right. On this particular day, I attended a running club training night focussed on speed and burned 505 calories. 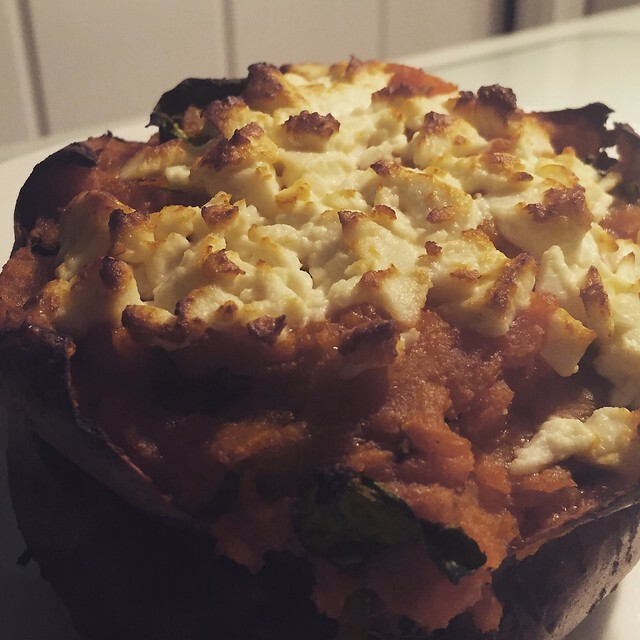 Sweet potato stuffed with a mix of spinach, tomato sauce, cherry tomatoes and topped with feta cheese. So my total calorie intake for an average training day is around 1550-1600 calories. I eat quite a lot of fats (avocado, coconut milk, nuts/seeds) and fair amount of protein. I've spent most of the last 9 months fiddling about with my diet to make sure I'm eating enough calories and enough of the right nutritional elements for the type and volume of training I do. It's taken a long time to find a balance that not only works on paper, but does actually leave me feeling well and with enough energy to work, train, laugh, blog, travel, and live. Life is too short to feel miserable, tired and deprived. 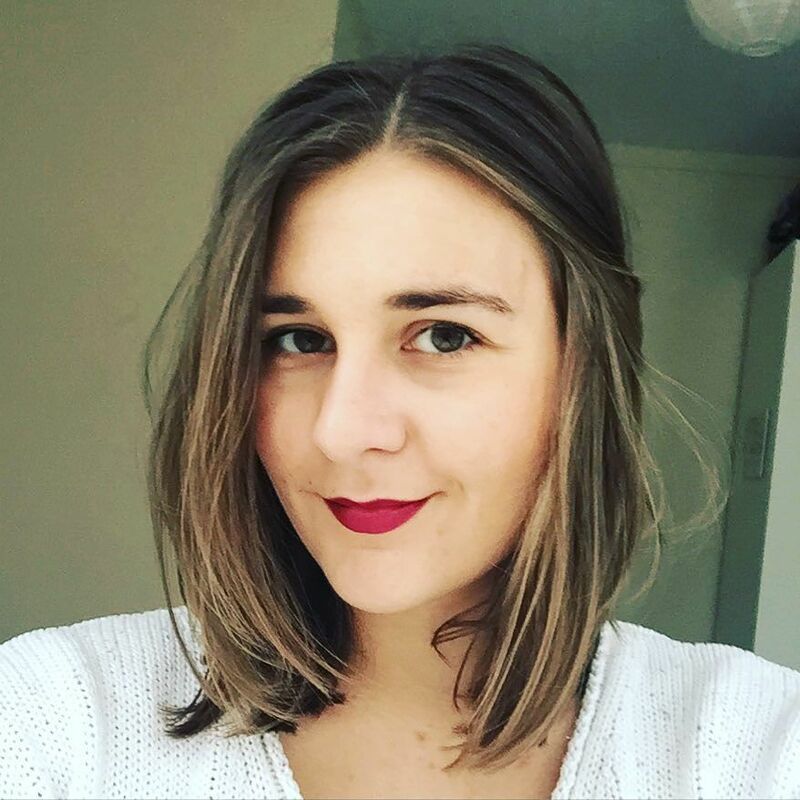 I can't stress how important it is to take stock carefully of your own needs and requirements rather than follow the advice of someone who is only qualified by their instagram followers or worse, people like me who are only sharing their personal experience for your own personal viewing pleasure.